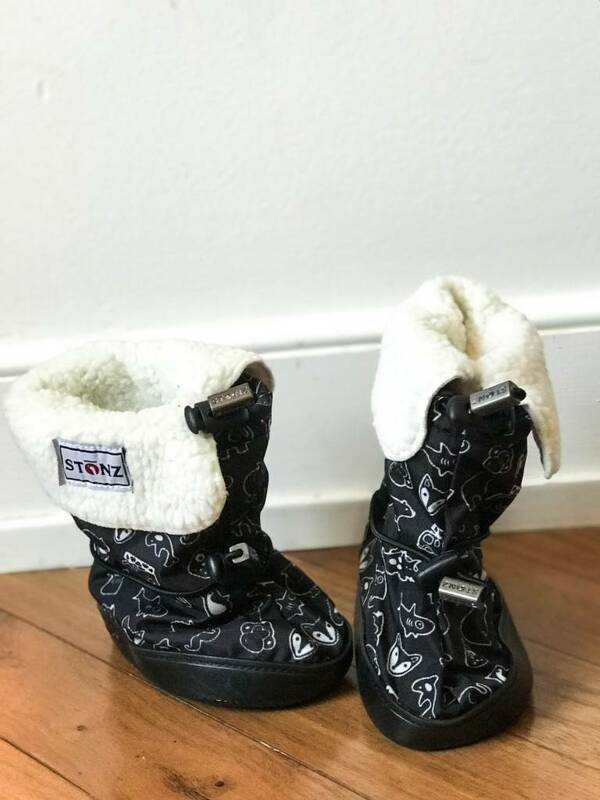 Whether looking for a last-minute holiday gift or preparing your family for upcoming snow, Stonz booties are the perfect fit. Even if you’ve wrapped up all your Christmas gifts by now, Winter is upon us and it’s time to prepare for the kids’ Winter gear. A last minute gift, or an everyday must-have, Stonz booties are a favorite of ours. Want to ensure your little one enjoys a snow day with the proper gear? Stressed at the thought of finding a comfortable, functional and warm enough boot that will actual stay on your child’s foot? Ideal for early walkers, Stonz booties are equipped with non-slip and weather-resistant soft soles, ultra-warm fleece lining, and adjustable toggles to ensure these don’t fall off those little feet. Its flexible fabric and adjustable fit allow for extended wear as the child grows too. So get outside this Winter and watch your children enjoy building snowman, riding sleds down the hill and just rolling around in the snow like kids do. You may even spot these adorable booties on children of celebrities.